When you’re looking at the landscape of order management in retail, you can’t help but see a paradigm shift both in technology and best practices happening right before your eyes. You can’t walk into a mid-sized or large retail store without being told you can do business with them online, via mobile app, or through social media. Omnichannel has already arrived. This shift was fast. Retailers had just finished embracing multichannel eCommerce, and now find the industry has firmly moved on to omnichannel. Unlike multichannel, where the focus is on channel selling only, omnichannel impacts every part of your business, including multichannel selling. It wasn’t so long ago that multichannel selling through shopping engines, social media and even marketplaces challenged retailers to expand their sales reach, track sales on all their channels, keep tabs on customers’ orders, and ensure that their multichannel strategy was growing revenue. For most multichannel retailers, the order management system (OMS) was a small actor in a larger picture where the focus was heavily on optimization in selling channels and marketplaces, as well keeping the shopping cart consistent and updated for inventory and shipments. The OMS was a back-office system hidden in the dark corners of a retailer’s operation and usually considered just another “cog in the wheel”. It had a role that blurred the lines between inventory management, customer and order information, and facilitating fulfillment. Although an important part of the process, the OMS role wasn’t central, and often took a back seat to the shopping cart or POS system. With the advent of omnichannel, not only do you still have all the challenges multichannel selling, but now you have to look at all your channels, retail stores and your e-Commerce presence. More importantly, everything in your operation needs to be in complete concert so that your customers’ experiences are consistent throughout your entire operation. “Buy Online, Pickup In Store” (BOPIS), “Buy Online, Return In Store” (BORIS), even “Ship From Store”, are all omnichannel features that demand a high level of order orchestration which has implications on many processes and procedures for even the smallest of retail businesses. In omnichannel, every system and process has potential to touch the order. And the order is central to the customer’s experience with your business. The order management system (OMS) becomes the center of attention within an omnichannel operation and requires that it be “front and center” in your enterprise. 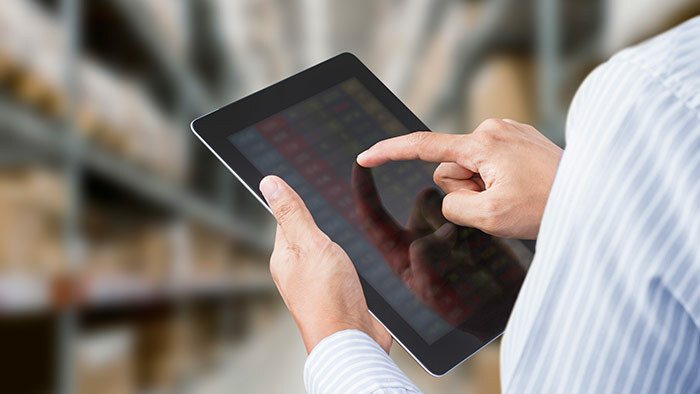 Retailers with legacy order management systems are now discovering that they do not fit into their omnichannel strategy. They’re searching for newer, more advanced order management that will allow them to adopt omnichannel, but also grow their business without losing ground. The OMS of the future is one that is open, easily adaptable, and at the center of the enterprise, allowing systems within your operation to easily interact, connect, and extend features as your operation requires. “Ship From Store” can be described as the “holy grail” of omnichannel. Why? Because it has implications for the whole order management system: It requires that the OMS have an enterprise inventory view of all inventory (to see retail stores and their current inventory values), and also to route shipments to stores when an order is received from a customer. “Ship From Store” also represents operational challenges, as now your retail store, a place where people traditionally come to buy products, is being used to ship products to customers. Your stores have effectively become another warehouse in your operation. The OMS of the future is the “hub” of your business that not only orchestrates orders, but also allows for disparate legacy systems such as Warehouse Management Systems (WMS), Accounting Systems and even the ERP system to connect, pull information, and act on it. The OMS must even allow customers to gain access to it from mobile and social media endpoints and devices – even if it’s transparent to the customers themselves. To accomplish a true omnichannel strategy with an order management system, the OMS must have a standards-based API (Application Programming Interface) that’s not restrictive and allows for the major functionality to be exposed for developers. The API should reflect the general feature set functionality offered in the application. A good order management API lets you execute through the API exactly what you can do in the application. This is important so that you can extend the order management system throughout your operation and add customized capabilities as your business needs change over time. No single vendor can build every feature to satisfy every customer. Therefore, when looking at an order management system to accomplish true omnichannel nirvana for your customers, it will be imperative that the order management system doesn’t lock your business into a place where you cannot expand as you try and grow your operation. The API is key to that success, and when seeking an OMS to create or expand your omnichannel operation, you shouldn’t be looking for the next “legacy” system to replace – you should be seeking a system which can be expanded for years to come and an OMS that’s designed for your future. This entry was posted on Monday, September 26th, 2016 at 11:24 am	and is filed under Dydacomp News, Uncategorized. You can follow any responses to this entry through the RSS 2.0 feed. Both comments and pings are currently closed.